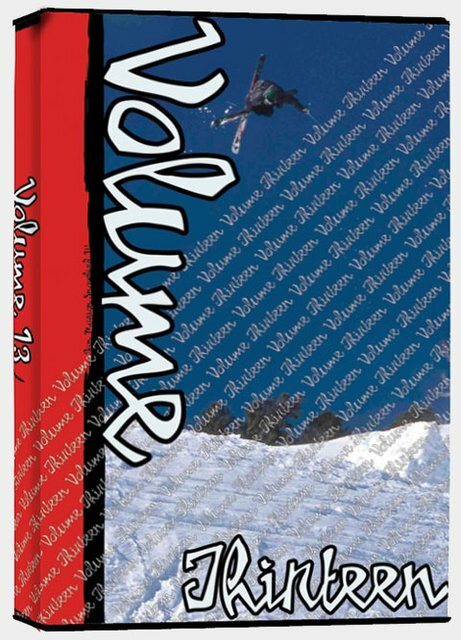 Volume Video Magazine is proud to announce itÃ¢â‚¬â„¢s line up for the thirteenth issue. We traveled back East for the first time to document the Siver Cartel Sessions. We visited three different resorts in three days, skiing with locals and giving a ton of product away. Mike Wilson, Iannick B and Phil Warren are just a few of the riders you will see ripping the east coast parks in this article. Then we headed back out west and hooked up with some Dynastar riders while they did a back country photo shoot in Utah. Dan Marion, Liam Downey and others show that they can ski powder as well as the park. Issue thirteenÃ¢â‚¬â„¢s day in the life is with Sage Cattabriga as he goes out snowmobile skiing with friends Chris Collins and Jeremy Nobis. They hit cliffs and cornices and show why you need a snowmobile for next season. We spot check Rocky Point and Wolverine Cirque and talk to locals about these famous backcountry spots. See Chris Collins lead the charge as they hit cliffs and ski lines. We recap the action at the US Open in Vail Colorado and World 1/2 pipe championships at Park City Utah. The feature article is on Pep Fujas as he spends three weeks in Utah filming. You will see him and his friends sliding urban handrails, hitting back country kickers and finishing up with the most historic Pyramid Gap (90 feet) session ever. See PepÃ¢â‚¬â„¢s huge fakie cork 540(first fakie trick ever), Kye PetersonÃ¢â‚¬â„¢s cork 720(youngest ever to hit it) and Andy MahreÃ¢â‚¬â„¢s 540, 180 and unbelievable fakie air(first ever fakie landing and fakie to fakie landing). In this issue you will hear from the riders, filmers and organizers to get an in depth perspective, so donÃ¢â‚¬â„¢t miss it. Go to http://www.volumevm.com to see the teaser and subscribe to issues 13 and 14 for just $25.00.